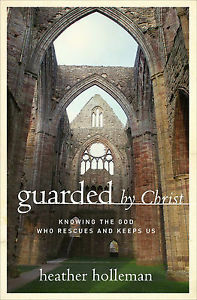 In Guarded by Christ, Holleman unpacks how and why God guards us, what Jesus is doing in the secret place of our soul, and how we can internalize these truths to live in the reality of God’s presence every day. She shows women how, in Jesus, we are guarded by righteousness instead of condemnation, by peace instead of anxiety, by hope instead of despair, by the Holy Spirit’s power instead of self-effort, and by a crucified life instead of a self-important one. As an expert educator for the past 20 years, Holleman shows readers how to use memorable images such as God as our fortress, alliteration, and anchoring Bible verses to live in the reality of God’s guarding care all day long. 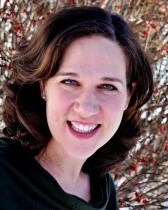 Heather Holleman, PhD, is a popular speaker, writer, and college instructor. She is a faculty member of Penn State's English Department and teaches both freshman composition and advanced writing. Heather studied shame and narcissism for her doctoral work in English literature. Along with teaching, Heather serves on the staff of Faculty Commons with Cru (formerly Campus Crusade for Christ) and helps direct the graduate student ministry at Penn State. Heather is obsessed with vivid verbs like grapple, fritter, and effervesce. She also greatly admires the semicolon; it is the most beautiful and misunderstood punctuation mark, she says. In addition to her full speaking schedule, Heather writes daily inspirational material that reaches thousands through social media on her blog, Live with Flair, and is slowing making her way through seminary classes in the summers. Heather lives in Pennsylvania with her husband, Ashley, and their two daughters. This book touched my heart and comforted me through Scripture in ways I can't even express. It made me look at God's Word in such a deeper and more profound way. It gave me the tools to be comforted in those areas that have always been a struggle for me. I have suffered with anxiety for most of my life and, although I know how much the Lord can help alleviate this problem, sometimes while in the midst of it, it's not always easy to apply what I know. I loved this book because she wrote in such profound ways that helped me to truly transform my anxieties by applying what she was sharing in a new way. I love how open and honest Heather is in this book. I truly felt as though I got to know her and her stories were so touching and relatable. I also like how she gave us a method for remembering the promises that God has for us. At the end of each chapter, she gives us questions that we can reflect on that will give us a deeper appreciation and understanding of Scripture. I really enjoyed this book and got so much out of it. I highly recommend it and give it 5 out of 5 stars.